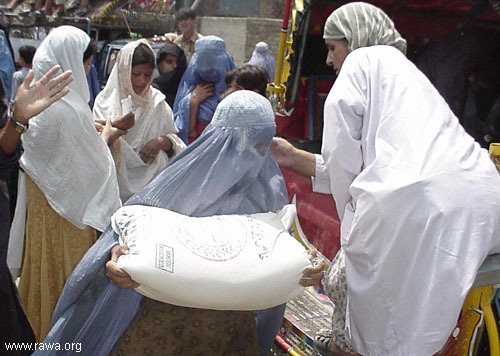 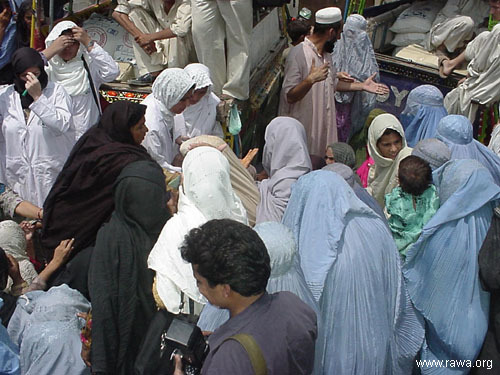 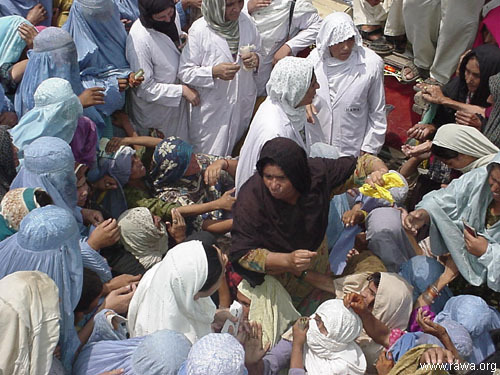 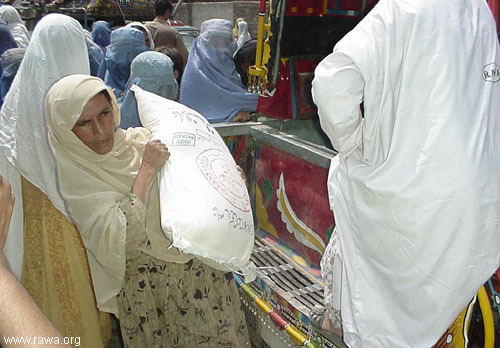 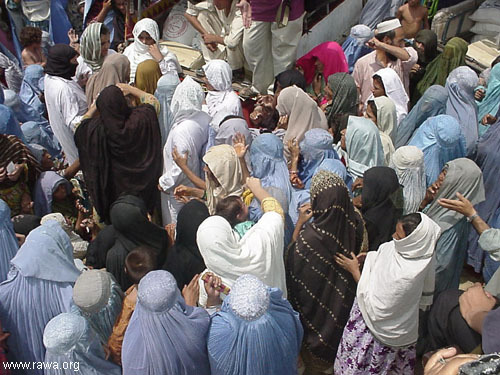 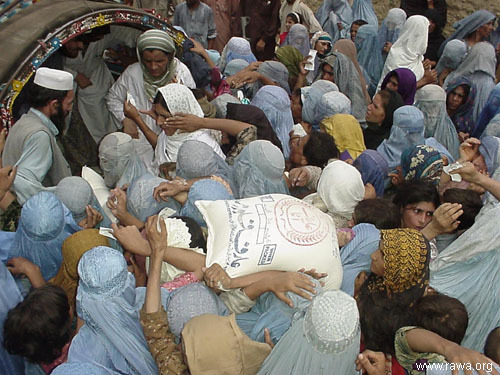 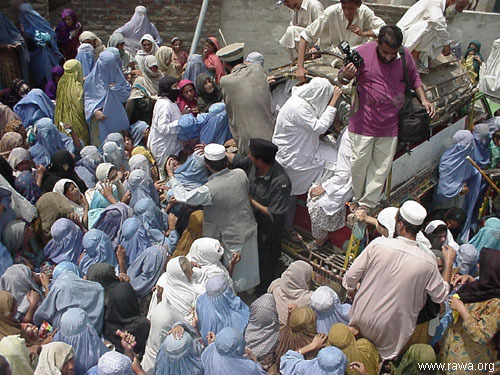 PESHAWAR-The Revolutionary Association of the women of Afghanistan (RAWA) has distribute some food items amongst the dwellers of Akora Khattak Hawai Refugees Camp on Wednesday but the concerned functionaries, particularly UNO bodies yet to fulfill their responsibility in this respect. 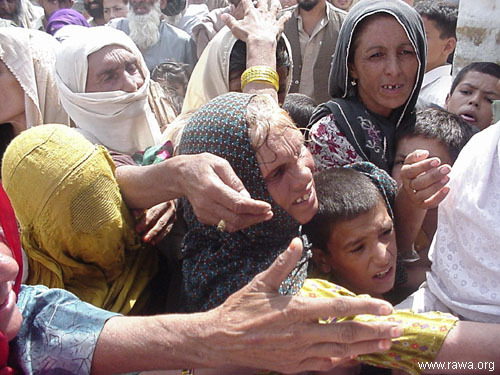 Population of Afghan refugees in Hawai camp is stated around 10,000 families comprises more than 50,000 individuals and for the last two months they received nothing either from UNHCR or from World Food Programme. 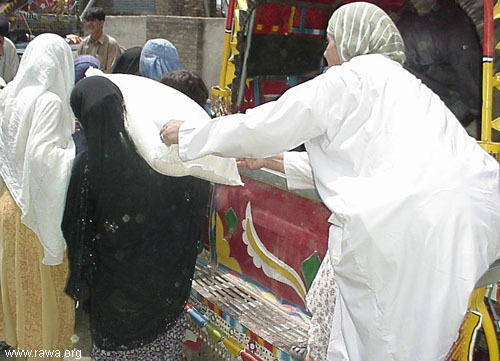 During a visit to the camp along with RAWA members who distributed food items among most vulnerable and deserving families, it came to know that 99% of these helpless people are deserving the relief of UNHCR, Afghan Refugees Commissionerate, WFP and other donor agencies assistance. 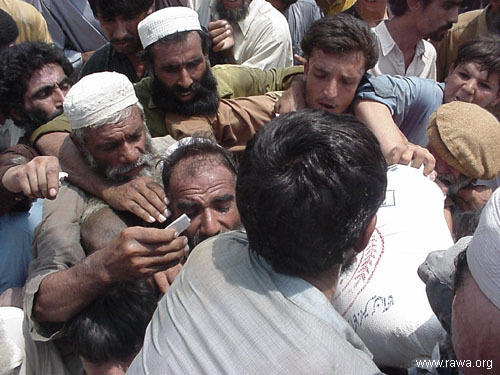 Due to lack of proper food, environment and health facilities, majority of these refugees are facing several diseases. 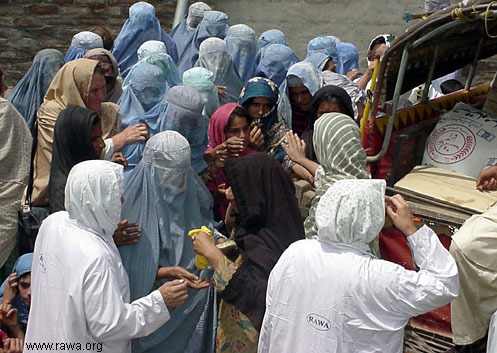 Since beginning of previous July 12 children have lost their lives due to cholera and other diseases. 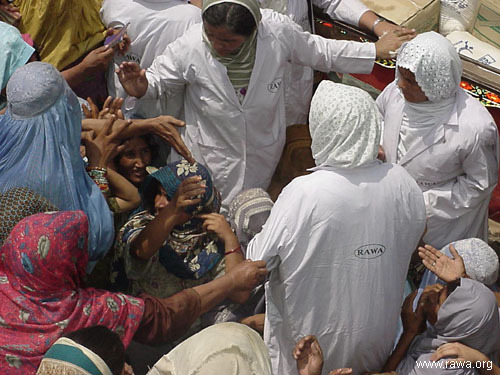 While a large number of people, mostly women and children are facing skin diseases. 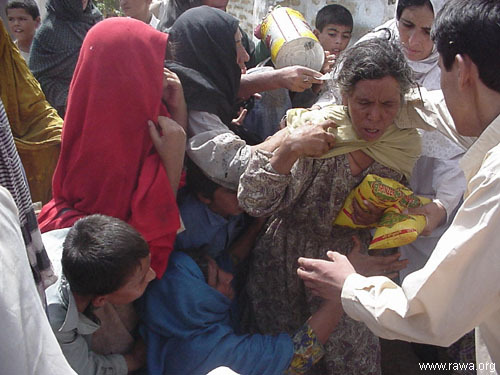 The RAWA volunteers Wednesday arranged distribution of food items and other relief goods for the deserving families at Akora Khattak new camp commonly know as Hawai camp.